Ed. Note: this is the fourth instalment of a detailed critique of a major New Scientist anti-creationist diatribe (see introduction and index page). This one deals with the widespread confusion between evolution and natural selection, which is actually a process discovered by creationists and an important part of the creation model. It is often assumed that biologists eagerly embraced Darwin’s theory about the origin of species when he unveiled it, and that scientists continue to accept all his ideas to this day. Many biologists were staunch critics, e.g. Richard Owen (right) and Johann Blasius. In fact, various ideas about the evolution of life had been around long before Darwin came up with his theory. We have made this point as well, e.g. Darwin’s own grandfather Erasmus Darwin proposed a theory of evolution, and it was proposed millennia before that by some ancient Greek philosophers.1 E.g. Anaximander (611–547 BC) argued that humans evolved from fish or fishlike forms, and Empedocles (493–435 BC) claimed that we arose by chance combinations of atoms. He even proposed a form of natural selection, whereby those combinations best suited to survive would pass on their offspring.2 Aristotle (384–322 BC) replied with the same argument of modern creationists today: that this fails to account for the origin of the first self-reproducing entity. The idea of long ages also has a long pagan history. It was the compelling evidence that Darwin assembled in his 1859 book On the Origin of Species, however, that really convinced most biologists of the evolution of life by descent with modification from a common ancestor. Yet many evolutionists admit that Darwin never produced actual evidence for the origin of species, as opposed to varieties, let alone different basic kinds. Modern biologists see Darwin’s greatest contribution as the main mechanism he proposed: natural selection. During Darwin’s lifetime, however, many biologists were not convinced that it could account for evolution, and the idea fell out of favour. In the 1930s, it was revived by population biologists, who proved that natural selection is a very powerful force driving evolutionary change (but not the only one). And with the development of genetics, biologists began to discover exactly how evolution takes place. This led to a new understanding of evolution, based on discoveries in many different fields, called the modern synthesis. ‘Historically, the entire field of population genetics was developed by a small, tightly knit group of people radically committed to the Primary Axiom [that all life had a single common ancestor]. They were free to explore many scenarios and adjust multiple parameters unconstrained by objective calibrations, and to optimize frameworks to appear internally consistent. Their mathematical approach was to define the unit of selection as discrete genetic units, such a gene or nucleotide, instead of whole organisms with all the contradictory influencing factors (p. 52). In many ways the modern synthesis is an extension and refinement of Darwin’s ideas, but there are also some important differences. In particular, some evolution is now attributed to genetic drift. 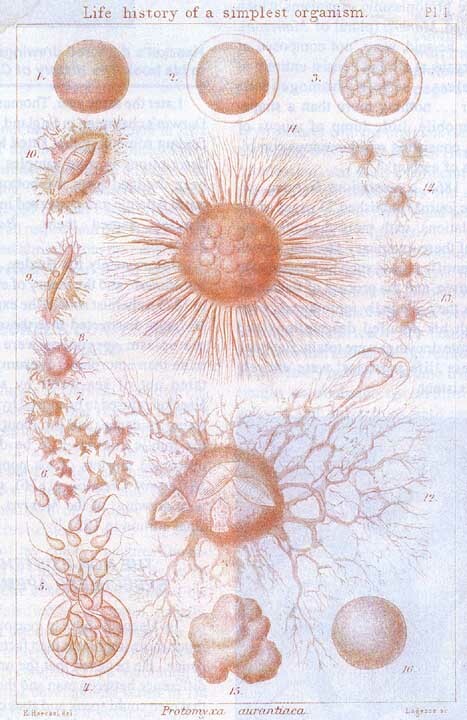 Haeckel’s drawings of the eating habit and reproductive cycle of an alleged Moneron to which he gave the scientific name, Protomyxa aurantiaca, as published in his book The History of Creation. The extent of the detail is the measure of his fraud, as the Monera did not then and do not now exist! Genetic drift is a good way to drive devolution by eliminating genes by chance—even beneficial mutations. Most mutations have small effects and the rare beneficial ones will mostly give a small selective advantage. This is expressed by the selection coefficient s. If a mutation has s = 0.001 or 0.1%, a supposedly typical value, then the number of surviving offspring is 0.1% greater for organisms with the mutation than without it. But the smaller the selective advantage, the more likely that random effects (e.g. genetic drift) will eliminate it—its probability of survival is about 2s.3 So the above mutation has only one chance in 500 of surviving, even though it is beneficial. Even if a beneficial mutation survives, for it to become fixed in a population (that is, all individuals have it, so it cannot be lost), the organisms not carrying it must be eliminated. This is the cost of substitution. This limits the amount of substitution which can occur in a given time. This is known as Haldane’s Dilemma,4 after J.B.S. Haldane, one of the world’s leading evolutionists (and a Stalin-supporting communist for a while). He wanted evolution to work, but couldn’t get around his dilemma. Take a population of 100,000. If only a male and female pair have the new trait, natural selection must eliminate the other 99,998 and all their heirs. If there is perfect selection (s = 1), this can happen in one generation. But this means that for every new trait, 49,999 individuals must be eliminated without offspring. Then the population must be regenerated with these survivors. While Darwin was right about most things, he also made a fair few mistakes. 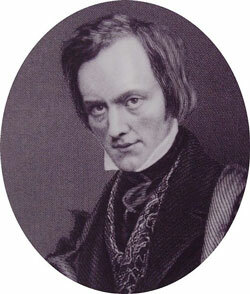 The biggest was his hypothesis of ‘pangenesis’, described in detail in his 1868 book The Variation of Animals and Plants Under Domestication. According to this theory, beneficial characteristics acquired during the life of an organism could be passed onto offspring over the course of several generations, thanks to particles called ‘gemmules’ shed by body cells that became concentrated in the reproductive organs. Genetics was discovered by the creationist Gregor Mendel, and largely ignored because it conflicted with the original Darwinism. Darwin thought this could explain, for instance, why children are born with thicker skin on the soles of their feet than elsewhere, but this idea was dismissed in the 20th century. There’s a twist in this tale, though: a few biologists now think there might be ways for traits acquired during an organism’s lifetime to be passed on. However, it has yet to be proved that this can happen and, even if it can, it is very much the exception rather than the norm. Actually, such promoters of neo-Lamarckian face censorship from guardians of the neo-Darwinian paradigm, as Professor Evelleen Richards, Science Historian, University of NSW, pointed out. Darwin’s other mistakes are more trivial. For instance, in one edition of Origin of Species, Darwin enthused about ‘Eozoon canadense’, which had been identified as a primordial microorganism by others but whose ‘fossils’ turned out to be nothing more than mineral formations. Compare Haeckel’s monera fallacy, which fooled Darwin’s bulldog T.H. Huxley. In reality, the term ‘the bacterial flagellum’ is misleading. While much remains to be discovered, we now know there are thousands of different flagella in bacteria, which vary considerably in form and even function. This is supposed to be an argument for evolution? If there was only one type of flagellum, then ‘common ancestry’ would be invoked, and used as proof of evolution. Now different varieties of flagellum are also proof of evolution? Once again, heads I win; tails you lose. Now we also know that the flagellum even has a molecular clutch to disengage the motor from the filament when the bacteria form biofilms. The best studied flagellum, of the E. coli bacterium, contains around 40 different kinds of proteins. Only 23 of these proteins, however, are common to all the other bacterial flagella studied so far. Either a ‘designer’ created thousands of variants on the flagellum or, contrary to creationist claims, it is possible to make considerable changes to the machinery without mucking it up. Dr Scott Minnich of the University of Idaho, a world expert on the flagellar motor, disagrees with the evolutionary story tellers, who have far less expertise in the area than he does. He says that his belief that this motor has been intelligently designed has given him many research insights. Minnich points out that the very process of assembly in the right sequence requires other regulatory machines.8 He also points out that only about 10 of the 40 components can possibly be explained by co-option, but the other 30 are brand new. It has also been shown that some of the components that make up a typical flagellum —the motor, the machinery for extruding the ‘propeller’ and a primitive directional control system—can perform other useful functions in the cell, such as exporting proteins. New Scientist is referring to the type III secretory system (TTSS) in some disease germs. But this is more likely to be a degeneration from the flagellum. It’s not surprising that complex machinery could be adopted to simpler uses; e.g. a TV with a blown CRT tube could still be used as an audio system like a radio, but it wouldn’t mean that a TV evolved from a radio. It’s not surprising that complex machinery could be adopted to simpler uses; e.g. a TV with a blown CRT tube could still be used as an audio system like a radio, but it wouldn’t mean that a TV evolved from a radio. Minnich says that although the flagellum is more complex, it came first, so it couldn’t have been derived from the secretory apparatus.9 This makes sense: The flagellum assembly mechanism is designed to punch out the proteins required for the flagellum in a very orderly way. If this is disabled, it can punch out proteins (including toxins) in a haphazard way, as the TTSS does. For example, the flagellum is formed base-first. Then an export apparatus forms to make a hole in the cell wall, then expel the right proteins in the right place through a hollow tube, and these proteins must be labelled to distinguish them from non-flagellar proteins. Some of these proteins must be shepherded by other proteins called chaperones. Then the ‘hook’ or universal joint must form. This requires a ‘hook cap’ protein to keep the components in place as the hook is built. Then the cap detaches and floats away. Without a time machine it may never be possible to prove that this is how the flagellum evolved. However, what has been discovered so far—that flagella vary greatly and that at least some of the components and proteins of which they are made can carry out other useful functions in the cells—show that they are not ‘irreducibly complex’. Yet the best evidence shows that the other functions are the result of degenerating the flagellar assembly machine. More generally, the fact that today’s biologists cannot provide a definitive account of how every single structure or organism evolved proves nothing about design versus evolution. Biology is still in its infancy, and even when our understanding of life and its history is far more complete, our ability to reconstruct what happened billions of years ago will still be limited. I.e. we really still don’t have a clue, but that’s OK, we should still teach evolution as fact. Think of a stone archway: hundreds of years after the event, how do you prove how it was built? It might not be possible to prove that the builders used wooden scaffolding to support the arch when it was built, but this does not mean they levitated the stone blocks into place. Or one could consult written records of how it was done. But this very analogy gives the lie to the New Scientist nonsense: the archway is clearly designed by an intelligent human creator, even if there were no witnesses to this. The flagellum was clearly designed also. Even if the flagellum could have evolved from the secretory apparatus, the secretory apparatus itself defies evolutionary storytelling, let alone its transformation into a flagellum. Not even one of the ~30 new protein components for the flagellum could possibly have formed by chance (which they must have, because there is no step-wise process of increasing functionality that could possibly explain the origin of the flagellum by mutations and natural selection). A better rule that avoids personifying an impersonal process is: God is cleverer than you are, hence the growing field of biomimetics. A lot of creationist misconceptions have already been noted by us on our ‘Arguments we think creationists should NOT use’ page, the 8th most read article on our site! If Le Page is unhappy that some creationists are still using them, he should direct them to our site! A lot of them have already been noted by us on our ‘Arguments we think creationists should NOT use’ page, the 8th most read article on our site! If Le Page is unhappy that some creationists are still using them, he should direct them to our site! Yes it is, like Einstein’s theory of special relativity. By theory, scientists mean an explanation backed by evidence. What creationists mean is that evolution is just a hypothesis, unsupported by evidence-which it is not. Evolution is a fact as well a theory. Yes, yes, tell us something we don’t know. If Einstein had recanted his theories on his deathbed, would the universe be any different? Scientific hypotheses stand or fall on the evidence, not on the whims of their proposers. But for the record, this myth, popular among creationists, is not true. And it even links to a Creation magazine article, Did Darwin recant? but on another site. It’s a shame that Le Page doesn’t read more of our site, but then he would have little to write. There isn’t a nice way of saying this: anyone making this claim is either appallingly ignorant or an outright liar. In fact, there are far too many fossils with intermediate features to count—trillions if you include microfossils. I.e. although these forms can be arranged in what looks like a transitional series between different forms, they are really just variants of one species. These fossils show the transitions between major groups, from fish to amphibians, for instance, as well as from one species to another. New discoveries are continually made, from the half-fish, half-amphibian Tiktaalik to an early giraffe with a shorter neck than modern animals. 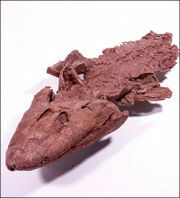 We have dealt with Tiktaalik and other alleged fish/tetrapod transitions like Gogonasus, Livioniana, Ventastega and Panderichthys. The transitional sequences are not all in order morphologically or stratigraphically, and many similarities cannot be explained by common ancestry but are dismissed as ‘homoplasies’ or ‘convergence’. Early giraffe is not named so it could be a throwaway bluff. Would you jump off a skyscraper on the basis that the clash between general relativity and quantum theory means there are serious problems with our theory of gravity? It makes no more sense to question the reality of evolution because scientists are still debating about some of its finer aspects than it does to question the existence of gravity for the same reason. There are still plenty of details to fill in but, as surely as dropped objects fall, life has and continues to evolve. That is, evolution is an unobservable theory about history, about origins which happened in the past, which cannot be tested by experiment, unlike gravity. There is a world of difference between historical science and operational science. If we all evolved from apes, why are there still apes around in this world? Chihuahuas, great Danes and every other type of dog were bred from wolves, but there are still wolves in the world. And what breeders do deliberately can happen naturally: when a species splits into separate populations that cannot interbreed, these populations can evolve in very different ways. The emergence of a new species does not necessarily mean the disappearance of the old one, although in fact the apes we evolved from are long extinct—chimpanzees and gorillas are our cousins, not our ancestors. Again, tell us something we don’t know. One gets the impression that Le Page is knowingly using straw man arguments as a polemical trick to make creationists look stupid. Evolutionists would cry ‘foul’ if we listed layman’s arguments for evolution, knocked them down and then made it appear that we had refuted evolutionary theory. The second law of thermodynamics states that entropy, a measure of randomness, cannot decrease in an isolated system. Our planet is not a isolated system. Er, that’s it. There are longer ways of saying the same thing if you prefer. The open system argument does not help evolution. Raw energy from outside Earth cannot generate the specified complex information in living things. Undirected energy just speeds up destruction. See open system canard. See for example Paul James-Griffiths, Evolution: an ancient pagan idea, Creation 30(4): 34–36, 2008. Return to text. Jerry Bergman, Evolutionary naturalism: an ancient idea, J. Creation 15(2): 77–80, 2001. Return to text. Actually 2s/(1–e-2sN), where’s = selection coefficient and N is the population size. This asymptotically converges down to 2s where sN is large. So it’s much harder for large populations to substitute beneficial mutations. But smaller populations have their own disadvantages, e.g. they are less likely to produce any good mutations and are vulnerable to the deleterious effects of inbreeding. Return to text. Haldane, J.B.S., The Cost of Natural Selection. J. Genetics, 55:511–24, 1957. Return to text. ReMine, W.J., The Biotic Message, St. Paul Science, St. Paul, Minn, 1993. Return to text. Batten, D., Haldane’s dilemma has not been solved, J. Creation 19(1):20–21, 2005. Return to text. ReMine, Cost theory and the cost of substitution a clarification, J. Creation 19(1):113–125, 2005. Return to text. Unlocking the Mystery of Life, DVD, Illustra Media, 2002. Return to text. Minnich, S , 25 August 2003. Return to text. Using Michael Behe’s description of the shape and process in The Edge of Evolution, Appendix C: Assembling the bacterial flagellum, Free Press, NY, 2007. Return to text. See animation at Protonic Nanomachine Project, Japan, Return to text. Mecsas, J., and Strauss, E.J., Molecular Mechanisms of Bacterial Virulence: Type III Secretion and Pathogenicity Islands, Emerging Infectious Diseases 2(4), October–December 1996; . Return to text. 2003.02.Miller_Response.htm>, 17 February 2003. Return to text. Franklin M. Harold, The way of the cell: molecules, organisms and the order of life, Oxford University Press, New York, p. 205, 2001. Return to text.